Hypertension control rates are unacceptably low in China. The present study demonstrates if a customized, guideline-oriented training program can cost-effectively improve hypertension management in primary healthcare. Four typical community health centers in Beijing were selected and randomized to intervention or control (one urban and one rural each). A sample of 140 patients with hypertension and blood pressure uncontrolled was recruited from each center. 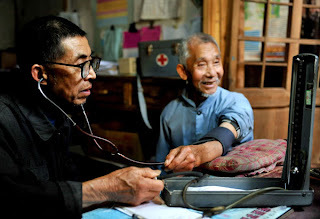 Primary healthcare providers in intervention centers provided management to the recruited patients for one year after receiving training with customized hypertension management guidelines, and primary healthcare providers in control provided with usual care. The intervention was cost-saving, with an average incremental cost-saving of US$20 per patient in urban sites and $7 per patient in rural sites. The customized, guideline-oriented hypertension management program in primary healthcare in China effectively improved blood pressure control and was cost-saving.